harleen is using Smore newsletters to spread the word online. From late Wednesday night to early Thursday morning the Capulet tomb has been the scene of the deaths of Romeo Montague, Juliet Capulet, and Count Paris. The bodies were found by the watch along with Balthasar, a Montague servant, and Friar Lawrence who were caught trying to flee the scene. Count Paris and Juliet Capulet were supposed to be married on Wednesday morning however Juliet was found dead. This resulted in the marriage becoming an unanticipated funeral. Friar Lawrence later revealed what he knew about the death's to the watch. He confessed that Romeo Montague and Juliet Capulet fell in love and secretly got married. Soon after Romeo escaped to Mantua after he was banished for killing Tybalt. During this time Paris asked for Juliet's hand in marriage. 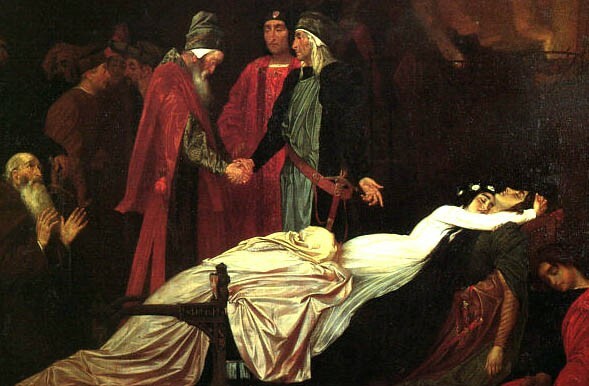 To avoid marrying Paris Juliet took a potion that would put her in death like state. This potion was given to her by Friar Lawrence. Friar Lawrence then sent a letter to Romeo stating that the death of Juliet was fake but the letter had not been delivered. 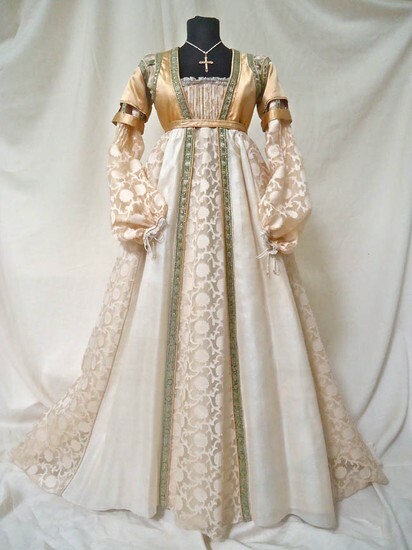 Balthasar, Romeo's servent, stated "I brought my master news of Juliet's death and then in post he came from Mantua. To this same place, to this same monument. This letter he early bid me give his father and threatened me with death, going in the vault, if I departed not and left him." Balthasar further stated that Romeo gave him a letter for his fauther and told him to leave. Friar Lawrence is proved truthful by the contents of the letter. Romeo supposedly went to the Capulet tomb to kill himself. Paris went to pay tribute to Juliet. It is unclear why the two got into the brawl that resulted in the death of Paris. Romeo killed himself by drinking a lethal substance. When Juliet awoke to find Romeo dead she committed suicide by stabbing herself with a dagger. The Montague's and Capulet's have come together to comfort and mourn for their loved ones. Both of the families have agreed that gold statues will made of the two lovers. Montague Romeo, the son of Lord and Lady Montague, died on July 20th 1597. He was born in Verona on September 14th 1981. Romeo sadly committed suicide at the young age of 16. He took his life by drinking an illegal lethal substance at the Capulet tomb. While alive Romeo lived a blissful and joyous time. He always did what made him happy and lived his life to the fullest. Romeo is survived by his father Lord Capulet of Verona. His death, although woeful, has had a positive effect on the city of Verona. This is due to the fact that the feud of the Montague's and the Capulet's has come to an end. A gold statue of Romeo is soon to be raised in the Main Square.Funeral arrangements are being handled by the Dimbleby Funeral Home in Verona. Calling hours will be Wednesday from 2-4 and 7-9pm. The funeral will be held on Thursday at 9:30a.m. at the funeral home and at 10am at Grace Episcopal Church in Verona. 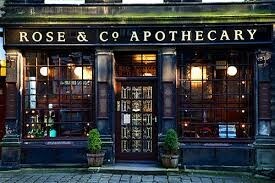 Get ready Verona for Rose & Co Apothecary is opening in New Malt Square on July 25th! Our apothecary carries everything from ancient chemicals, crude drugs, and herbs such as Foxglove, Belladonna, Eyebright, Feverfew, and Opium Poppy. We will provide our customer with the best service in any apothecary around town. Come in and experience it for yourself! Romeo and Juliet are not Exactly what you Think! Although the death's of Romeo and Juliet are tragic there is little evidence to support that their love was long lasting and true. Their is little indication of affection, but many displays of lust. Most favorable relationships take years to develop, yet Romeo and Juliet met approximately three hours before they decided to get married. This short period of time is not enough to decide to spend their lives together. When Romeo and Juliet saw each other for the first time at the Capulet Ball they shared the feeling of a very strong desire. This desire was based on looks and body, not love. Romeo and Juliet were both very young. Juliet is only thirteen while Romeo is approximately seventeen. Being teenagers, they are affected by a change in hormones. Romeo and Juliet are both delusional. Romeo was at the party while heartbroken over Rosaline, cousin of Juliet. Juliet was an innocent young girl that did not know any better. When the two of them saw each other they unknowingly realized they had found an escape . They desired to have a relationship that is on a fantasy level motivating lust for one another. The relationship between Romeo and Juliet is based on lust, not true love.